Shankar Venkatachalam has published a new project “Change Tracking for IBM Domino Directory”. "We have created an application called “Change Tracking for IBM Domino Directory”. 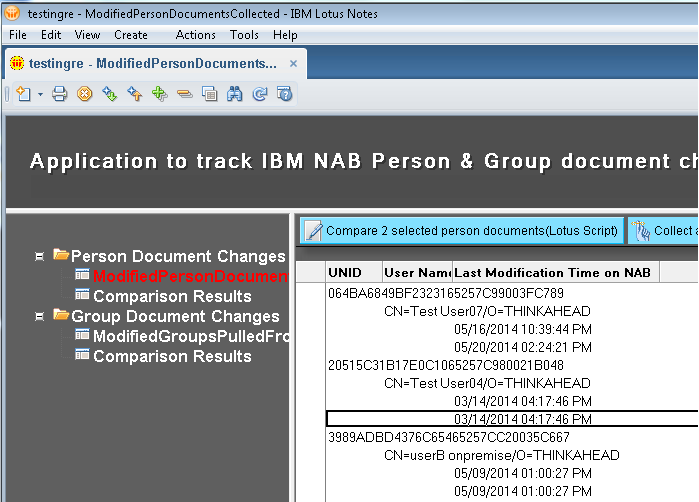 As the name indicates, the application tracks the changes in person and group documents in the IBM Domino Directory. The application reports what has changed, who has made the change and when the change has happened. The application works for IBM Domino version 6 to 9 as well as in hybrid IBM SmartCloud Notes environments."